If you are looking to do a little something different, outdoors and fun for children, I would recommend ‘Pick Your Own Fruit’ at Lathcoats Farm in Essex. Fruit picking at Lathcoats Fruit Farm is one of my family’s favourite past times and when summer rolls around, we always try to make a trip over. It is also makes a beautiful backdrop to capture family photography. The pops of colours from the red strawberries and apples add brightness and colour to the greens and browns from the farm. Bonnie Thomspson a Mum of two boys contacted me to photograph her and her children as she realised when she was looking through her photos on her phone that she had hardly any photos of her with the boys and hundreds of photos of the boys and their dad. Every year the Thompson family make an effort and go fruit picking. It’s a simple activity and one everyone seems to enjoy, a little picnic, eating freshly picked fruit and getting some fresh air. Lathcoats Fruit Farm is located in Essex and offers the opportunity throughout the summer period to come along and pick your own fruit from strawberries, raspberries, cherries, apples and plums. Offering a great selection that your children can come and pick from. We planned the outfits that the boys and Bonnie would wear. As Bonnie wanted to have the photos printed and displayed on her kitchen wall and we planned outfits that would be timeless, she loves shopping so a great excuse for a new outfit. When the day of the shoot came round it was perfect weather not to hot and cloudy to provide great light to capture this special family time. The boys loved the apple picking experience, we planned to go late in the afternoon with a picnic to avoid the rush of people and we practically the place to ourselves! Harry and Finn aged 6 and 3 explored the orchard and found the best apples. They picked mainly cox variety, a sweet kind, perfect for lovely warm apple pies and cakes. 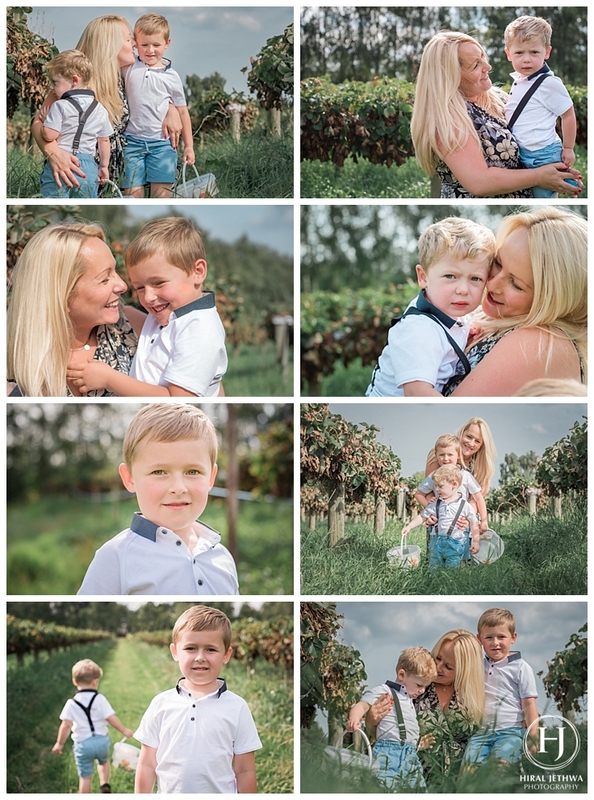 It was an amazing afternoon as the boys had plenty of space to run around and burn off their energy and I was able to capture beautiful natural photos of the boys with their mum. Photos that capture the innocence of childhood and the freedom children have. As before we know it our children will soon grow up and go to work no more childhood fun to be had. Please visit www.http://www.eapples.co.uk/ to find out more about the best dates for fruit picking and plan a beautiful fun filled day out this summer with the family. Thank you to the team at the farm for letting me capture this apple picking session. Looking forward to spending more time at the fruit farms this summer to capture more families who are looking for a natural documentary approach to family photography. 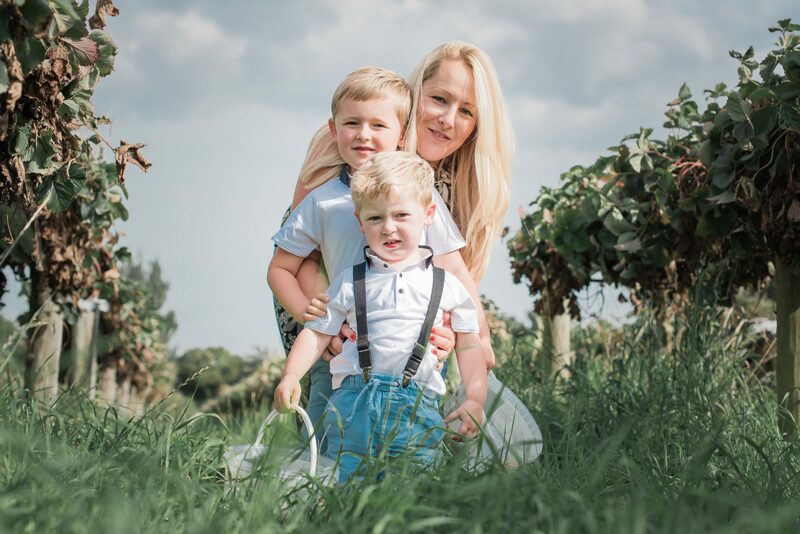 Bonnie absolutely loved her time with the boys and kindly let me record her customer testimonal to allow you to hear her thoughts from a mother’s perspective the importance of having photos of mums with their children.